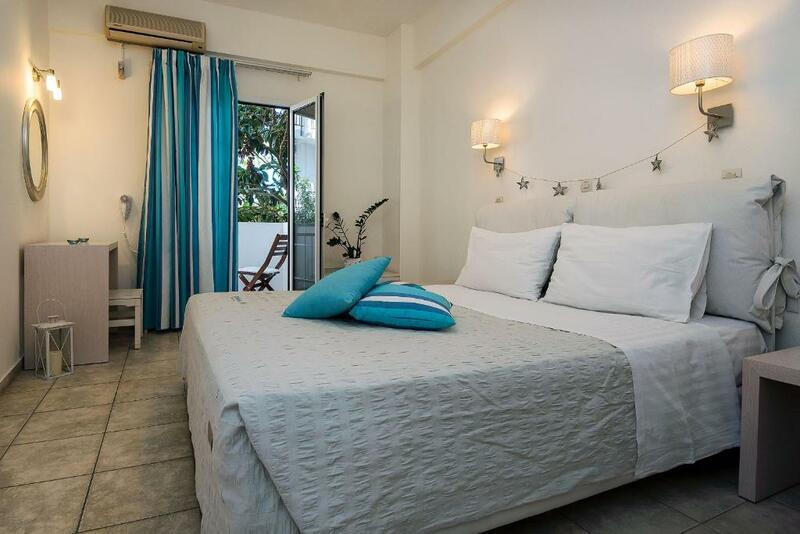 The hotel is very close to the beach, restaurants and shops, but not on the busy main road. The bed was super comfy and the tiny kitchen was very handy to prepare our own breakfast. The owner is really friendly and helpful and arranged a shuttle from the airport for us. We needed to check in after hours as our plane landed quite late, but they were kindly waiting for us and let us check in late. Good WiFi. Spacious balconies. Close to town center and all the lively places. Big rooms with a lot of space. Very comfortable beds. Good attention to details. Everything included from boiling kettle, coffee filter, bottle opener to ironing board in the lobby dowstairs from reception. The bed was super comfortable, location was perfect. Staff were lovely and very welcoming and friendly. The facilities available to guests on leaving day were perfect. Very friendly staff! Good location in the middle of the center but not on the noisy main road. Watch out where you park your car because the street is very narrow and the drivers are not very carefull. Room was nicely decorated, comfortable bed and had a small kitchenette. Понравилось абсолютно всё. Самый большой плюс - чуткое и внимательное отношение хозяев апартаментов к гостям. Просторные и светлые апартаменты, кругом чистота. Мягкая и удобная мебель (двуспальная кровать и диван). Кухня оборудована всем необходимым. Шум с улицы не мешал, т.к. апартаменты расположены в тихом переулке. Пляж и супермаркет находятся в шаговой доступности. Если планируете посещать экскурсии - автобусы останавливаются совсем рядом от апартаментов, примерно в 100 метрах. la convivialité des gérants très sympathiques , toujours à l'écoute des clients et prêt à rendre service et de donner les explications, à recommander. Великолепное расположение, апартаменты находятся в центре Херсониссоса на тихой улице, поэтому вам не будет мешать шум машин и музыка с баров и дискотек. В тоже время все лучшие заведения и пляжи находятся в шаговой доступности. Добродушные и отзывчивые хозяева, готовые помочь в любой ситуации. При заезде получил презент в виде бутылочки Раки и тарелки фруктов. Также из за позднего рейса без проблем разрешили оставаться в номере столько, сколько мне нужно. В моих апартаментах была кухня-столовая, спальня, два балкона и санузел с душевой. В апартаментах есть все для комфортного проживания. Апартаменты просторные, чистые и с хорошей отделкой. Die Unterkunft war den griechischen Verhältnissen entsprechend gut. Очень уютный такой мини отель. Улыбчивый персонал. Отель находится вблизи главной улицы, дойти до магазинов и пляжа близко. Шум не слышен. Lock in a great price for Diamond Apartments & Suites – rated 8.2 by recent guests! 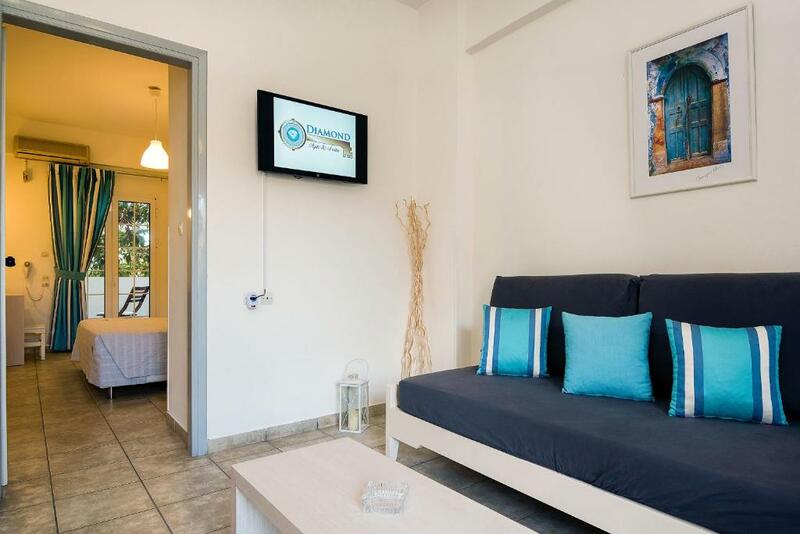 Diamond Apartments & Suites is quietly located only 350 feet from the nearest beach in Chersonisos of Crete and within short walk from restaurants and bars. It offers elegantly decorated, self-catered accommodations with free Wi-Fi. 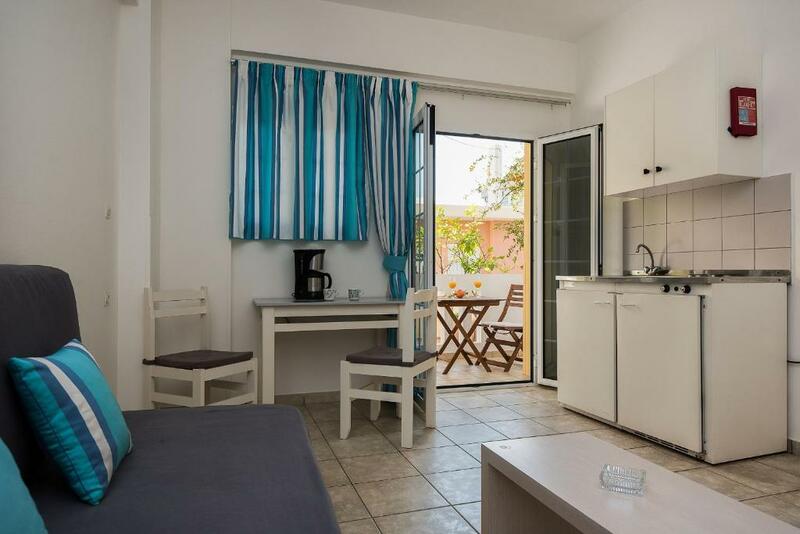 Fitted with modern furnishings, tiled floors and bright colors, all air-conditioned studios and apartments have a kitchenette with a mini fridge, cooking hobs and dining table. 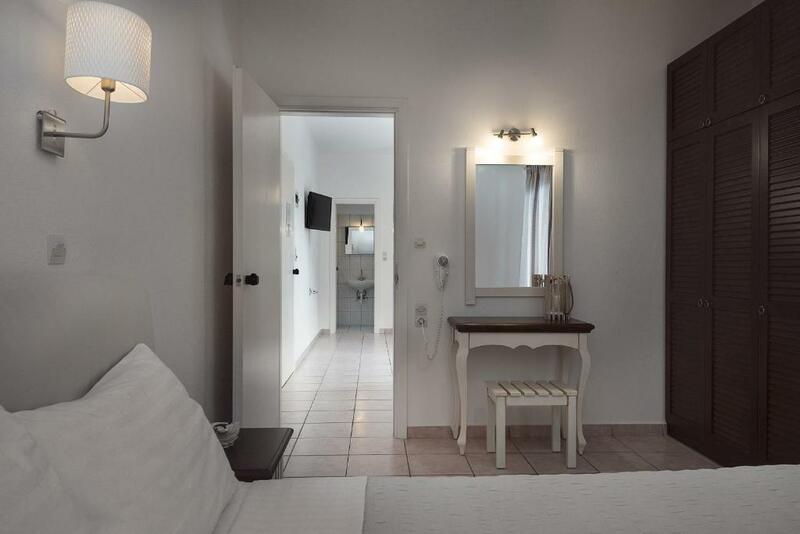 Each unit includes a private bathroom with free toiletries and hairdryer. 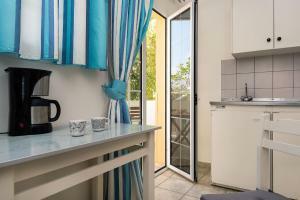 Some accommodations types open to a furnished balcony and offer a seating area with LCD TV. A mini market can be found within a short walk from Diamond Apartments & Suites. Nikos Kazantzakis International Airport is around 14 mi and Heraklio City is 16 mi away. Free parking is possible on site. 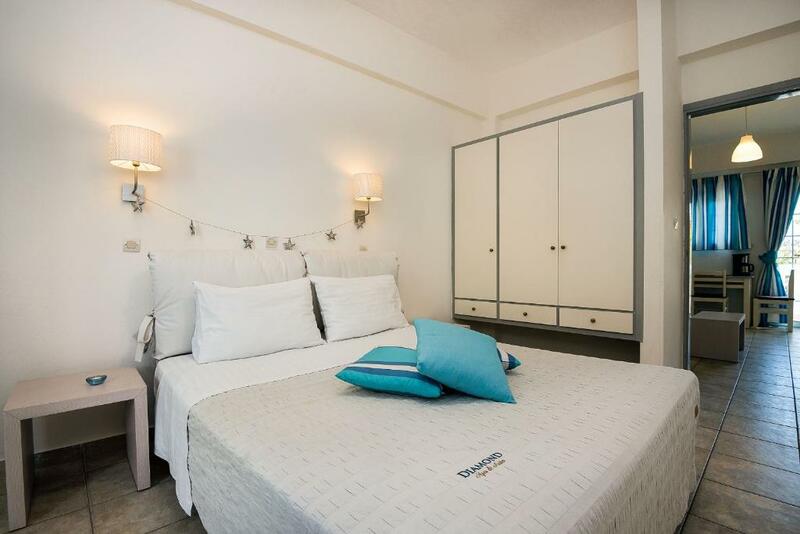 뀐 Located in the real heart of Hersonissos, this property has an excellent location score of 8.5! When would you like to stay at Diamond Apartments & Suites? This air-conditioned apartment features a kitchenette. A flat-screen TV is provided. Diamond Apts and Suites is a petite boutique style apartments facility, recently renovated (2015) and located in a quiet neighborhood, in the city center of the famous holiday resort of Chersonissos. 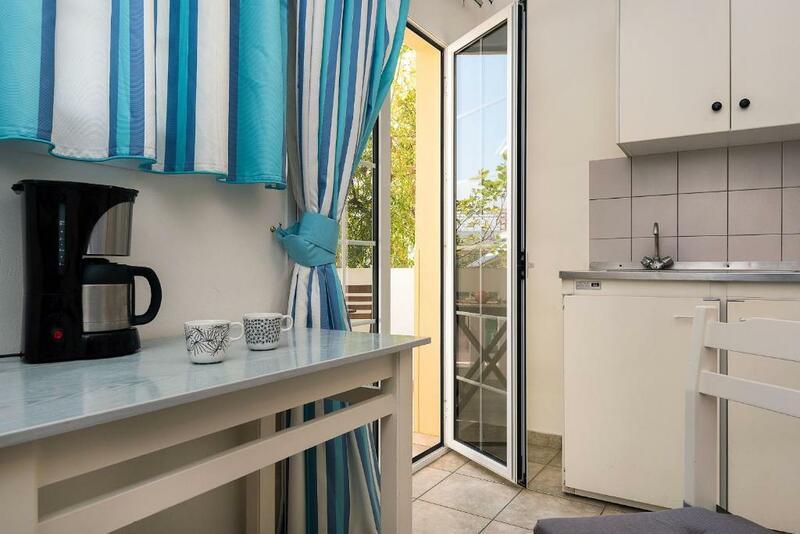 The apartments are smartly located, just 2 minutes away from the closest beach, the local market center, the restaurants and bars. The 15 spacious and cozy apartments and suites are fully equipped summer houses. They are refurbished in summer style and are very comfortable. Diamond Apartments and Suites is a small family business where everybody knows you by your first name. Friendly and caring staff will ensure that your holiday runs smoothly. We offer a range of activities to choose from, indoors and outdoors. Everyone is unique to us. We welcome every guest and we provide personalized services. 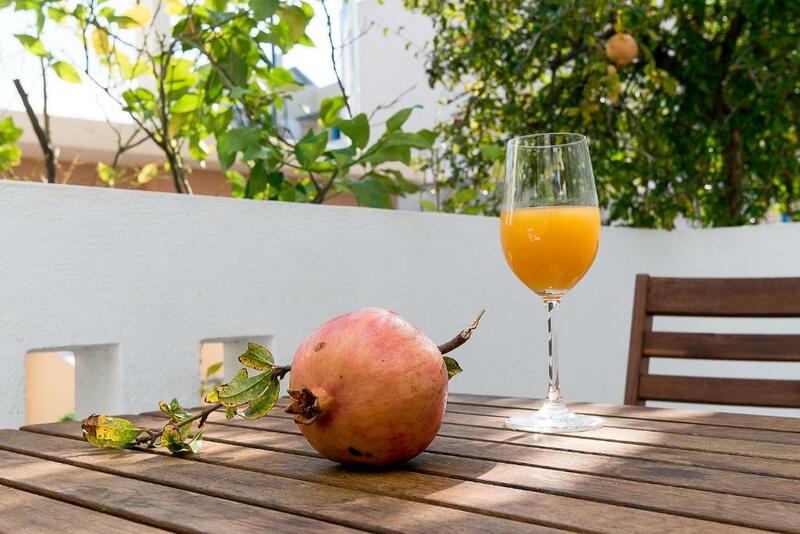 We can help you get the best out of Crete! We know how! One of our personal bets is to make you feel like home! 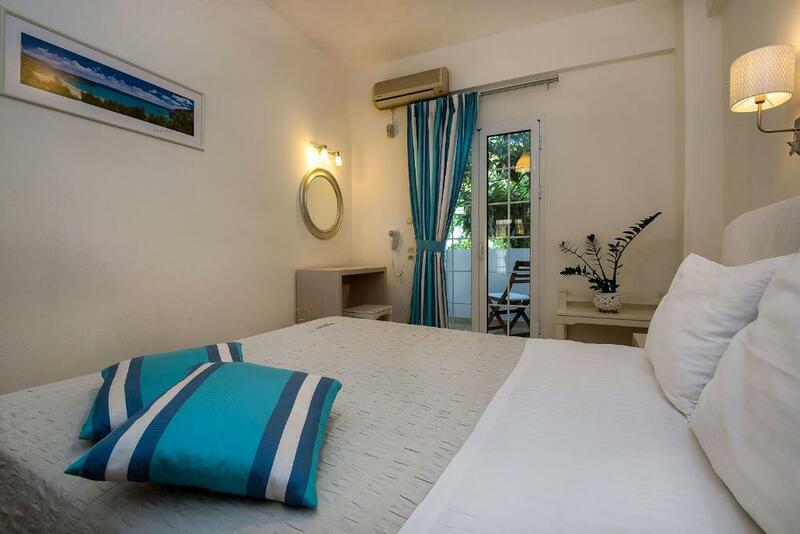 The hotel is smartly located,in a quiet neighborhood, just 2 minutes away from the closest beach, the local market center, the restaurants and bars, in the city center of the famous holiday resort of Chersonissos. Area Info – This neighborhood is a great choice for travelers interested in nightlife, bars and restaurants – Check location Great location - show map Guests loved walking around the neighborhood! House Rules Diamond Apartments & Suites takes special requests – add in the next step! Diamond Apartments &amp; Suites accepts these cards and reserves the right to temporarily hold an amount prior to arrival. Diamond Apartments & Suites accepts these cards and reserves the right to temporarily hold an amount prior to arrival. Please note that a children's cot or crib is available only upon request. Please note that a breakfast buffet is served upon charge, opposite the hotel, at a nearby facility. Please inform Diamond Apartments & Suites of your expected arrival time in advance. You can use the Special Requests box when booking, or contact the property directly using the contact details in your confirmation. The room smelled like cigarettes as the previous guests must have been smoking inside. We asked for a quiet room and got a room right next to the reception on the ground floor so we got woken up by guests returning back at night and slamming the main door and then again in the morning when hotel staff was preparing breakfast. Bathroom anemities could use a bit of improvement but even so the cleanliness of the place is great. The restaurant of hersonissos central hotel that they partner with needs to make a better coffee. Shower in room was fairly small but adequate. Floor and bathroom were not clean (hairs everywhere...). A line of puke was visible on the outside wall from our window. AC worked now and then.